Should the Paternoster Gang Return? One of my favourite parts of the RTD era was having recurring characters who could pop in and out every now and again, especially when they passed over between the Ninth and Tenth Doctors. For the first bit of the Moffat era I was sad there wasn’t really any characters like that (River doesn’t count, as to me she’s sort of a pseudo-companion given how often she’s in Series 5 and 6). Until finally, we got 2011’s A Good Man Goes to War. 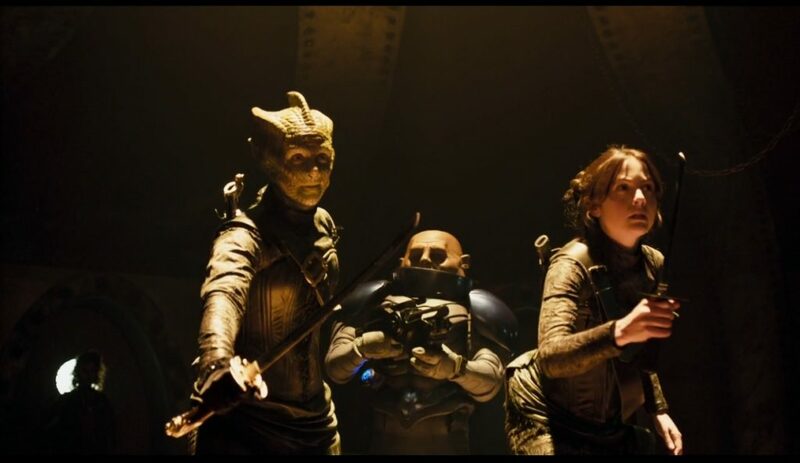 What I think made Jenny, Vastra, and Strax so appealing in that episode is how even though we had just met them, they already felt like well-realised characters. 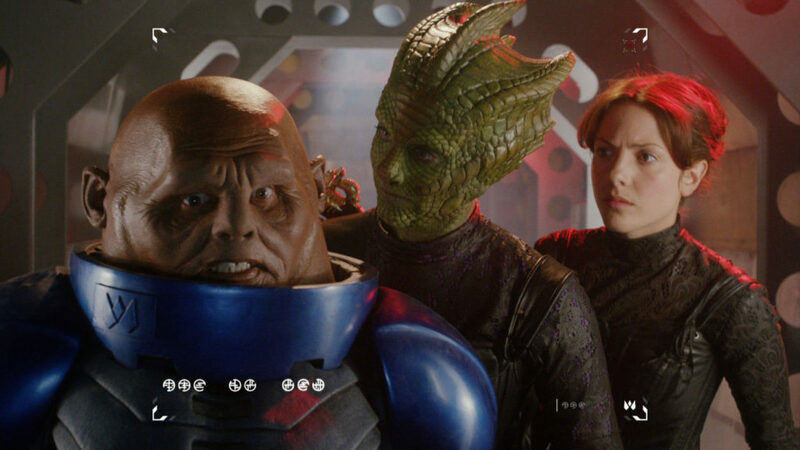 Characters that the audience hasn’t met before, but other characters have, already feel well-realised because we’ve hopped in seemingly in the middle of their own story, but it’s the actor that really makes that character feel alive, and Catrin Stewart, Neve McIntosh, and Dan Starkey give brilliant performances as each of the multi-species trio. 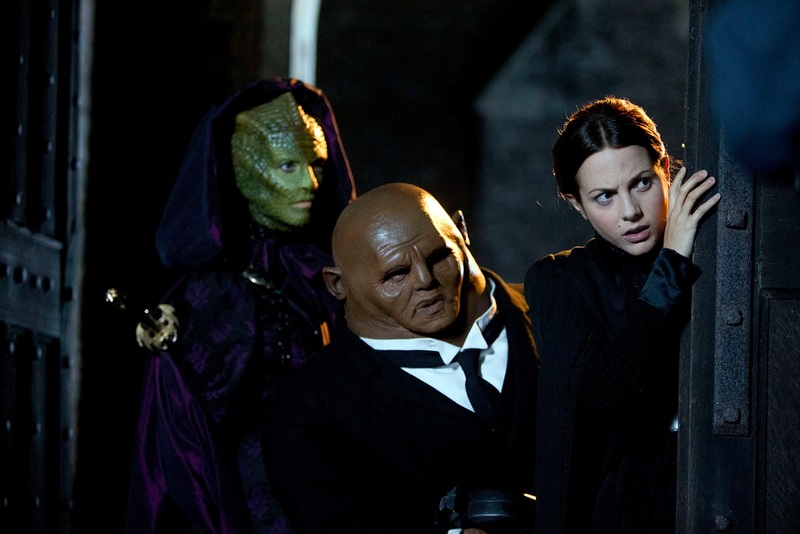 Now, as someone who enjoys The Paternoster Gang, do I think they should return? Not really. The fact that they were in 2014’s Deep Breath was interesting, as Moffat had advertised Series 8 as a almost a fresh start, at least tonally, so putting these light-hearted characters in this darker version of the show could’ve been interesting. But unfortunately I think their appearance in Deep Breath was a bit wasted. The reason you bring in old characters to a regeneration story is to see how the new Doctor reacts to them, and vice versa. Except in this episode, besides a scene or two at the start, the Doctor never talks to them. 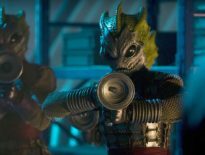 What could’ve been used a great chance to develop The Paternoster Gang instead makes them feel like a bit of a never changing one-trick pony, albeit an enjoyable one. That being said, while they may not gel so well with Doctor Who right now, mostly due to misuse, it doesn’t mean they’re not fun characters that shouldn’t be explored in other media. As someone whose read Devil in the Smoke, The Crystal Throne, and Silhouette I think these characters are at their best when they take a prominent role in a story, as opposed to side characters. Victorian times is a tried and true setting for some great Who stories , and, to be honest I’m still surprised they never got their own TV spin-off. 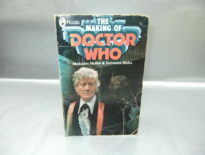 Readers of Doctor Who Adventures will know that the trio has had a recurring short story series entitled The Paternoster Gang Investigates, which currently boasts almost 20 entries. But, bar on television, the most obvious spin-off waiting to happen is through Big Finish. Surely this is an inevitability? Big Finish’s run with the New Who license has been very popular, and given how Dan Starkey has already played Strax in 2015’s Jago & Litefoot & Strax – The Haunting surely Nicholas Briggs is already trying to get the gang together for a box set or two? So, what do you guys/gals/lizard people think? Has The Paternoster Gang’s time on Who passed? Did you even like them in the first place? Would you be interested in a Big Finish series? Let us know! ← Big Finish’s Tenth Doctor Pre-Order Price Deal Ending Soon! Features	Are the Silurians a Narrative Dead-End?